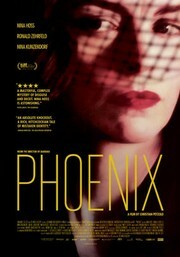 Phoenix: A Holocaust Film For the Faint of Heart | Yo, Yenta! This entry was posted in IMHO: Book, Movie and Music Reviews, Life, Death and Guilt In Between and tagged concentration camp, german cinema, holocaust, holocaust film, jewish film, phoenix film, survivors, trigger by Head Yenta. Bookmark the permalink.